The decision to send your child to a Pre-K program, also known as preschool, is an important one. There are many things to consider when choosing a child care center for your child, including program quality, safety, cost, time and location. You may even be wondering if there is a purpose to pre k education and whether it provides your child any benefits. Pre K education is a great way for your child to learn and explore! Like all education, pre k education is an important stage in the mental, emotional and social development of your child. The purpose of pre k education is actually seen in the benefits that pre k education provides. Study after study has shown that children enrolled in a pre-k program benefit from higher test scores, better socialization skill and a smoother transition into kindergarten. Pre-k education is designed as the bridge between unstructured and structured learning. As infants and toddlers, children learn by interacting with family and the world around them. They family setting allows the child to learn, but the structure of the classroom that awaits them in the future is lacking. Before the industrial revolution, most learning was unstructured and practical. But we live in a world of software engineering and nuclear energy, and those professions require hours and hours of classroom learning. Pre k education introduces the child to a structured learning environment in a gentle and caring manner at an age when they are able to easily adapt to new situations. 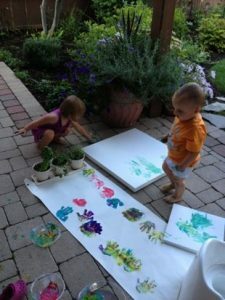 The learning resembles the learning they have experienced at home, including fun learning games, but with the added socialization of learning with a group of other children. The social aspect teaches the child to follow rules and respect and empathize with others. In a group education setting, learning games teach children the necessary social skills to enter kindergarten, including communication, sharing, working together to solve a problem and good behavior in groups. The cognitive and academic benefits of pre k programs are amazing. Children who have participated in pre k education programs have better test scores on standardized test, are less likely to get into trouble, and have higher incomes later in life than children who did not attend a pre k program. The positive social, academic and economic effects of pre k education programs has led many state and local governments to launch initiatives to bring pre k programs to children of low income families. Recognizing the positive societal impact of pre k education, the Obama administration announced the head start program, which is designed to close any gaps in state and local pre k initiatives. At Toddler Town Chicago, we seek to provide our child with a quality and stimulating pre k experience. Our preschool programs are designed with the future of your child in mind. The Pre K programs at both our Chicago and Evanston Locations are accredited with the prestigious NAEYC certification. With the experienced and caring staff at Toddler Town Chicago, you can’t go wrong. We put your child first. For more information, contact us or stop by our Chicago or Evanston locations! We looking forward to hearing from you!